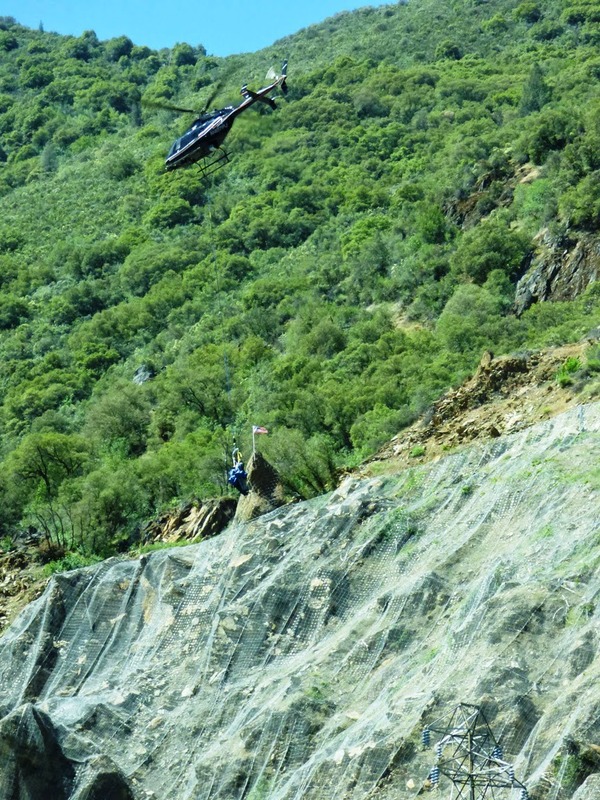 Geotripper: Work on Yosemite's Ferguson Slide Continues, and Can Someone Tell Me What These Folks Are Up To? Work on Yosemite's Ferguson Slide Continues, and Can Someone Tell Me What These Folks Are Up To? 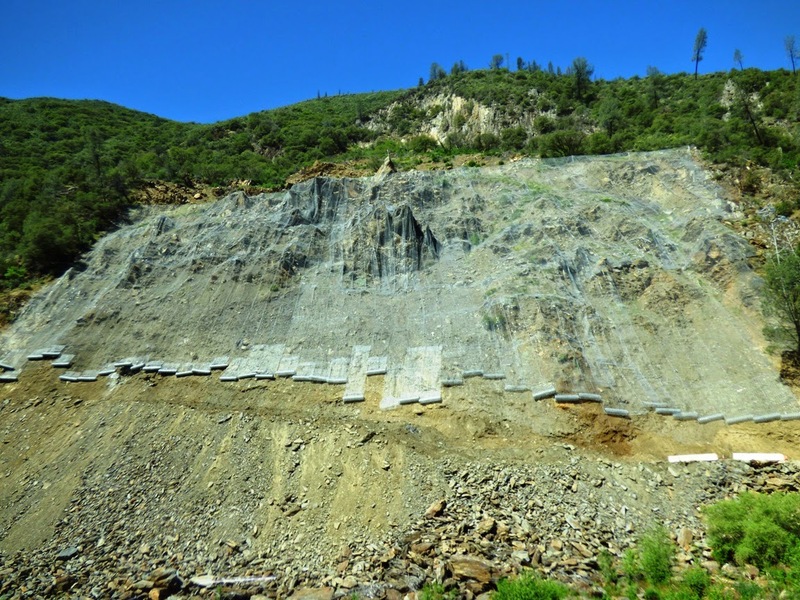 Three weeks ago I passed the Ferguson Slide on the way to Yosemite, and found that work had begun on mitigating and stabilizing the slide so an avalanche shed could be constructed to protect vehicles from rolling boulders. Check out my previous post on the subject for details of the slide and the work being done. 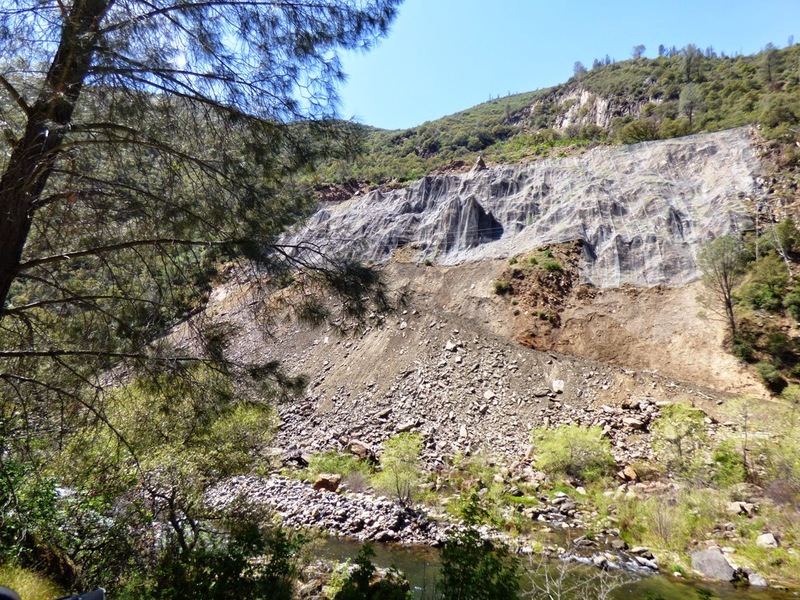 I was up there again today, and saw that a lot of progress has been made towards removing debris and coating the slope with boulder containment netting. Compare today's progress (above) with a photo from three weeks ago (below). I'm wondering where the debris is going? I didn't think to look today for truck loaders. But something else was going on that made me curious. Usually when helicopters are hovering over construction sites, they are delivering or picking up materials. 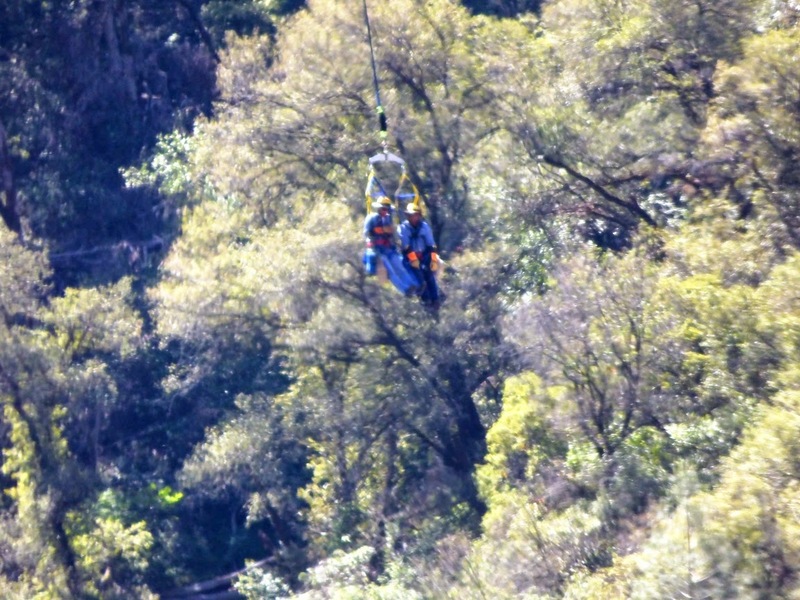 But this copter was carrying a pair of workers in slings, and they were hovering over the slide. I'm imagining that they were inspecting the work, but wondered why that wouldn't be done from inside the helicopter. We couldn't stop the bus to watch for longer, so I'm wondering if anyone out there knows what's going on here. In a completely facetiously mode of thought, I imagined they were joyriding over their handiwork, and were taking turns (the helicopter did go back and forth between the slide and the staging area). Those are High-line workers most likely inspecting/maintaining the high-tension lines that traverse across the slope.